Building or renovating is an exciting time, and the kitchen is a room with unlimited potential. Once kitchen dimensions are established, appliance options can be investigated for enhancing form and function of the space. Most contemporary kitchens aim to establish maximum utility with minimum clutter, making minimalist Scandinavian ASKO products definitely worth considering. For larger kitchens with spacious bench tops or a dedicated workstation, the permanence, quiet operation and versatility of an ASKO CI41238G 120cm Island Rangehood is hard to beat. ASKO innovators are dedicated appliance developers. They are all kitchen and laundry product specialists, enabling ASKO to focus on detail, precision and technologically enhanced features that modern kitchens deserve. The ASKO CI41238G Island Rangehood is made from stainless steel and other high-quality materials, with the quiet inverter motor conveniently concealed within the rangehood housing. 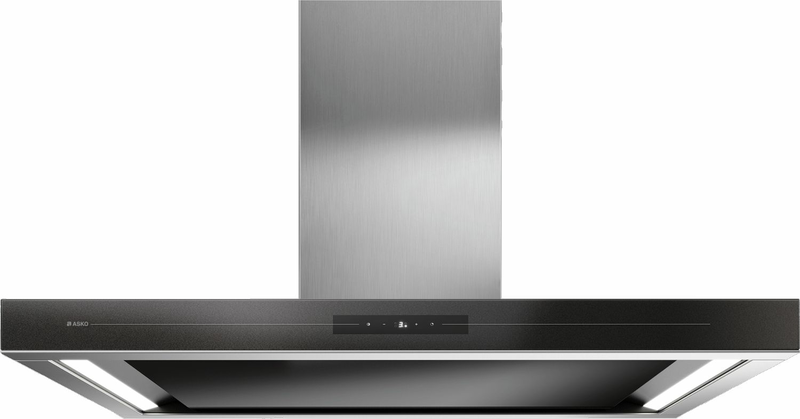 With a width of 120cm, the CI41238G Rangehood is ideal over a dedicated workstation to complement an ASKO oven, cooktop and Fusion Volcano wok burner. Entertaining is easy in an ASKO kitchen. What makes a Island rangehood the right choice? It’s understandable that many Australian home owners aren’t entirely up to date with rangehood functions and features. Older homes weren’t built with rangehoods in mind, and the initial introduction of ineffective rangehoods into unsuitable kitchens didn’t fare any better. Times have changed, and home builders universally incorporate design specifications for housing appropriate appliances and comforts, including the rangehood. At 120cm wide and only 8.5cm high, the ASKO CI41238G Island Rangehood has the extraction capacity for an entertainer’s kitchen, while retaining inconspicuous Scandinavian appliance appeal. The soft rangehood underside in stain-resistant black glass is the modern look expected in today’s kitchens, while soft dimmable LED lighting is ideal for setting the right mood. Food always tastes better when cooked with love in a home kitchen, and ASKO appliances are all about good taste. Should I choose a ceiling mounted or wall mounted rangehood? Your kitchen layout and design will determine the best appliance options. The ASKO CI41238G Island Rangehood is ceiling mounted for positioning over a dedicated chef workstation or large benchtop. 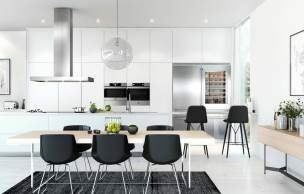 Expansive Australian home kitchens emulate the best of commercial establishments where fume and airborne oil extraction is necessary, often using ovens, cooktops and rangehoods in tandem for increased cooking output. 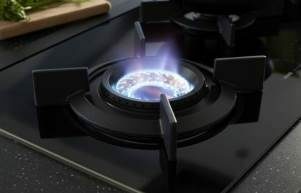 Everyone has their preferred cooking style, and the introduction of a ceiling mounted rangehood above an ASKO cooktop with Fusion Volcano wok burner is sure to attract those who prefer BBQ-style cooking over a dedicated flame. Rangehoods are manufactured to segue seamlessly with existing cabinetry and appliances, allowing ASKO converts to introduce products individually or collectively into the kitchen. ASKO developers are forward thinking, harmonising every function and feature of new appliance models to ensure simplicity of style and ease of use. 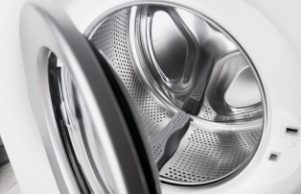 Why are stainless steel filters better? Put simply, ASKO appliances are built to last. 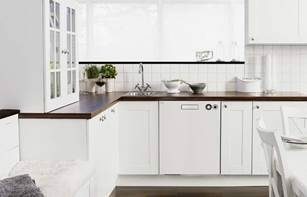 Scandinavian appeal includes durability as well as simplicity, and stainless steel is well known for retaining a clean sheen and hard-wearing usability. The ASKO CI41238G Island Rangehood includes a high definition display and control panel with filter cleaning indicator. 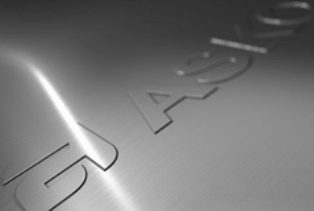 ASKO stainless steel filters are dishwasher-safe, meaning your Island rangehood needn’t be a gathering place for greasy build-up, and is always ready to display its showy best. How do different venting speeds assist the Island rangehood? 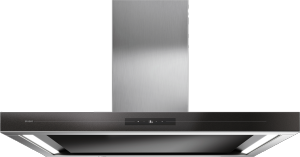 As a ceiling mounted Island rangehood, the CI41238G is built for extraction power. At 120cm by 70cm, and only 8.5cm high, the coverage is impressive, especially when using targeted rangehood extraction speeds to clear the air. To put things in perspective, the ASKO CI41238G Island Rangehood has 9 speed settings plus clean air function and boost function. Intensive air cleaning, for example, is a 10-minute rapid cleaning function, with settings automatically reverting back once intensive cleaning is complete. Alternatively, the Clean Air Function can be used which automatically runs for 10 minutes every hour, for a maximum of 12 hours. 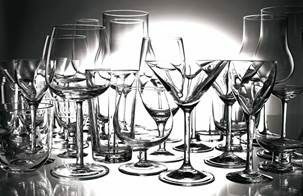 ASKO innovations are built into every appliance, just waiting to be discovered.